The period of time that begins when a client leaves a formal treatment program and treatment professionals are no longer directly involved with the client on a regular basis for one-to-one and group counselling and therapy. The client assumes responsibility for their one recovery, hopefully with the help of their family, support groups and others. Provision and discussion of factual information on alcohol (alcoholism, problem drinking) and drugs (addiction, drug abuse) through, for example, lectures, film or readings, in order to stimulate attitudinal and behavioural change. Systematic procedures for the identification of a client’s major strengths and problem areas, culminating in a treatment plan and referral for assistance. A process involving on-going assessment of current strengths, weaknesses and needs, planning to identify services appropriate to the particular needs of the client. The process includes the continuous monitoring and evaluation of progress and interceding on behalf of the client to ensure that the treatment system responds equitably and effectively to the needs of the client. This refers to when an individual has co-existing mental health and substance use disorders. While these disorders may interact differently in any one person, at least one disorder of each type can be diagnosed independently of the other. Relating with other professionals to assure comprehensive care for the client. Those services which respond to an alcohol and/or drug abuser’s needs during acute emotional and/or physical distress. Activities that are of a cultural nature (i.e. sweat lodges, smudge ceremonies, beading, Elders, language, etc.). Recovery from the toxic effects of a drug or substance by the removal of the toxic properties of that substance. A condition characterized by an overwhelming desire to continue taking drugs or substances to which one has become habituated through repeated consumption, usually accompanied by a compulsion to obtain the substances. First Nations Mental Wellness Continuum Framework. First Nations Wellness/Addictions Counsellor Certification Board. This organization changed its name on October 29, 2014 to the Indigenous Certification Board of Canada (ICBoC). A means of gathering data and information about the progress of clients in recovery. Follow-up gathers information about clients over a period of time and is used as a measure of the effectiveness and success of the program. A substance that causes excitation of central nervous system, characterized by hallucinations, mood changes, anxiety, sensory distortion, delusion, depersonalization. HPSD is responsible for national coordination of most community based health programs for First Nations and Inuit communities, including the National Native Alcohol and Drug Abuse Program (NNADAP) and the National Youth Solvent Abuse Program. An approach to health and wellness that encompasses the physical, psychological, and spiritual aspects of an individual. Honouring Our Strengths: A Renewed Framework to Address Substance Use Issues Among First Nations People in Canada. Indigenous Certification Board of Canada. Formerly known as the First Nations Wellness/Addictions Counsellor Certification Board (FNWACCB). The utilization of special skills to assist individual, families or groups to achieve objectives through: exploration of a problem and its ramifications, examination of attitudes and feeling, consideration of alternative solutions, and decision making. The process by which a client is determined appropriate and eligible for admission to a particular program. Trauma that is transferred from trauma survivors to their children and further generations of their descendants through complex post-traumatic stress disorder mechanisms. The ongoing intergenerational trauma of colonialism has damaged the cultural integrity and holistic health of Indigenous people and communities. While some events and policies have affected many Indigenous people (separation from the land, dissolution of communities, oppression, Residential Schools, Sixties Scoop, marginalization, and aboriginalism), it is important to know that some communities have also experienced their own unique traumas. This means that each community will have different needs for their healing journeys. Providing translation through an interpretation. A series of activities that are taught to groups and individuals in order to enhance their social and personal skills. Pertaining to a substance, derived from the poppy seed opium, that produces insensibility or stupor, can alter perception of pain, induce euphoria, mood changes and mental clouding. 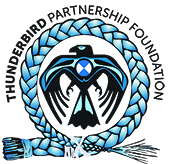 National Native Alcohol and Drug Abuse Program. Describe to the client the general nature and goals of the program, the rules governing client conduct, and infractions that can lead to disciplinary action or discharge from the program, treatment costs to be borne by the client, if any, and client’s rights. Treatment provided on a non-residential basis, usually in regularly scheduled sessions (e.g., 1-2 hours per week). Something that is fun, active and rejuvenates a person. Something that is good for a person: has healing qualities, restores an individual to what he or she was before or what the individual wants to be. The process of recommending a person to a treatment program after conducting an assessment of them. Following treatment, some treatment programs will recommend a course of action for follow-up and after-care to the referring agency. Charting the results of the assessment and treatment plan. Writing reports, progress notes, discharge summaries and other client-related data. Chemicals produced from petroleum products. They are volatile, evaporate quickly at room temperature, this characteristic makes them popular as a base for products which need fast drying. Examples are: plastic cement, some glues (model air plane glue), cleaning fluids, spot removers, marking pens and typewriter correction fluid. The deliberate inhalation of the fumes of volatile organic solvents, volatile hydrocarbons found in aerosols, all of which have psychoactive properties. Youth Solvent Abuse Program (usually referring to a regional branch) / National Youth Solvent Abuse Program. Substance dependence is repeated misuse of a psychoactive substance or substances to cause periodic or chronic intoxication, with compulsion to take the preferred substance (substances). Substance dependence is characterized by having great difficulty in voluntarily stopping or modifying substance misuse and exhibits determination to obtain psychoactive substances by almost any means. Substance dependence can be progressive and debilitating. A care pathway identifies all the options for care that an individual, family or community may have in addressing substance misuse, intergenerational trauma, or in a journey towards wellness. Because the care pathway includes preparation for care and supports the continuity of relationships across relevant service providers it is longer and includes outpatient activities, discharge from a service, transition between services and aftercare. A care pathway may also include natural supports or informal supports in the community. The aim of a care pathway is to enhance the quality of care across the continuum by monitoring progress to culturally relevant outcomes, promoting safety, increasing satisfaction, and optimizing the use of resources. The care pathway does not assume one type of service is the only option and it does identify the necessary services that meet the needs of the individual, family or community. The term “cultural practitioner” was created to identify those who have community sanctioned rights to lead, conduct, facilitate, or teach certain cultural practices and are not yet identified as an “Elder” by the community who would give such sanction to the rights to practice. A “cultural practitioner” is not simply someone who lives a “traditional lifestyle” or someone who participates in cultural activities, customs or ceremonies. What gives credibility to a “cultural practitioner” is their knowledge and skills as identified, defined and sanctioned by the community. The process of sanction relies upon close observation, teaching, mentoring and accountability of the development of the cultural practitioners sacred Indigenous knowledge, observation of cultural protocols, and care towards the interpretation and application of such knowledge and practice. These individuals must have the sanctioning of community, and that community sanctioning influences the level of engagement of participants. Indigenous communities, sacred and cultural societies are the source of sanctioned rights, credibility, protocols for and scope of practice. Cultural practitioners are often apprentices to Elders, work closely alongside Elders and Ceremonialists, or may come into their roles through inheritance of sacred bundles held within their families. In Indigenous terms, an Elder is also a specialist in ceremonies, traditional teachings, language, and heritage as it applies to mind, body, emotions, and spirit. As each individual is unique in their experience, learning, personality and knowledge of indigenous culture, each potentially has something different to offer. Some individuals may be specialists in certain teachings, ceremonies or healing practices, while others have another expertise. While age is a part of this, it is not the only part, but to a certain extent it is when you have experienced enough of the stages of life that you can look back and reflect on them. Is often asked to represent First Nation views and symbols of the culture or through active involvement with specific issues related to their life work, for example, substance use issues, and mental health. Indigenous Knowledge is grounded in the original languages of Indigenous people, informed by spirit, and translated through cultural practices that transcend generations and time. Indigenous knowledge can therefore be traced to its original source and meaning as it is applied within contemporary contexts. Acting from Indigenous centeredness means that one affirms, asserts, and advances Indigenous seeing, relating, thinking, and doing as being inherent and central to the Indigenous ways of knowing. routes and have multiple impacts spiritual, emotionally, mentally, and physically on individuals, families, and collectively as Indigenous community. Indigenous people exposed to discrete or chronic collective trauma experiences; for example: disconnection from original language, homelands, and lineage through forced relocation, residential schools, child welfare and justice systems pass on the impact of these experiences in many ways to the next generation, including genetically, psychologically, and behaviourally. The land has always been fundamental for the health and cultural identity of Indigenous peoples. A commonly-held belief is the interconnectedness of all life, which includes human persons and all Creation (animals, plants, rocks, visible and unseen forces of nature, the universe) that coexist in balance, harmony, respect, and care. Living on the land for generations has enabled Indigenous peoples to develop an understanding of wellness that is more expansive than the western concept of health (as absence of disease), including physical, emotional, intellectual, and spiritual dimensions. Good living, or wellness, is similarly understood by many Indigenous peoples. The land is thus viewed as a living, breathing, conscious being that heals and teaches, and is therefore the source of a positive cultural identity and balanced wellbeing. Traditional Healing or Cultural Practices used as interventions are common ways of talking about the use of Indigenous Knowledge and practices for supporting wellness. Cultural practices such as ceremonies attend to the whole person, while other interventions may have more specific focus. Cultural healing practices or interventions are facilitated by individuals who have sanctioning of their skills and knowledge in culture because they live the culture and have been recognized by both the cultural teachers/community and the Spirit to lead or facilitate a certain cultural activity. However, some cultural interventions, those that are not ceremonial, do not require this level of expertise. An example is the use of sacred medicines for smudge, although this differs across cultures. All cultural interventions require a level of cultural competency that follows the culture of the people on that land. Critically important is to know that there is not “one” culture because culture is defined by the land, language and nation of people. There is a diverse range of traditional healing practices that have roots in Indigenous languages and cultures. There are various types of practices that are common across cultures, while others are uniquely rooted in local culture and traditions. The following section describes the key concepts of the FNMWC framework. This term is popular, but its application is still difficult to manage. No matter what national dialogue there is about a “systems approach to care” this term has always been identified as a “gap”. The most significant problem is the “stop” and “start” nature of the relationship that is implied by “aftercare”. To be effective, we should think about “continuing care” as a key component involving all care providers and facilitating empowerment of client self-responsibility. In response to the potential need for multiple interventions, monitoring, and ongoing support, the concept of continuing care involves facilitating the level of care needed by the client following treatment. Support and aftercare services seek to build on the strong foundation set out by a program-specific service or treatment process. Aftercare provides an active support structure within communities and across services to facilitate the longer-term journey of individuals and families toward healing and integration back into a positive community life once the need for intensive treatment has passed. Aftercare can and should include ongoing involvement with community-based workers, professional counsellors, self-help groups, and cultural practitioners who address mental wellness. Supports related to housing, education or training, employment, child care, and parenting are also important to effective aftercare. Stages or phases of aftercare with decreasing levels of intensity and with the capacity to re-engage higher levels of intensity if needed could also be helpful. The involvement of extended family and a range of community resources (e.g., relating to culture, heritage, employment, and recreation) could also be part of aftercare. Eskasoni First Nation, located in Nova Scotia, describes their basket of services in a well laid out and easy to read format. Follow the link to see the home page for Eskasoni First Nation’s Mental Health Services (http://www.eskasoni.ca/Departments/25/), as well as their brochure describing the services they provide (http://www.eskasoni.ca/uploads/applicationforms/EMHS_brochure.pdf ). Community development describes the intentional actions taken by a community to increase their overall health and wellness. Community development strategies work best when they are community-driven, long-term, planned, empowerment-based, holistic, build ownership and capacity at the community level, and consider the broader social and economic context. This context may include the influence of education levels, living, and working conditions, poverty, awareness of culture and traditional language, social environments, history of colonization, and access to health and well-being services. (HOS 2011). A key aspect of community development is knowing your current community health status against the social determinants of health. This type of data can provide a benchmark to anchor measures of change over time. Community Waitakere. (2012). Community Development Evaluation Research: Case studies – Evaluation Frameworks in Community Development Organisations. Waitakere Auckland 0650, New Zealand. Indigenous Services Canada. (2012). Community Development and Capacity Building Framework. Version 4. First Nations and Inuit Health Branch, Indigenous Services Canada; and Aboriginal Affairs and Northern Development Canada. Wood, S., K. (2008). “Asset-Based Community Development: A Case Study”. Theses and Dissertations (Comprehensive). Paper 902. Identifying the needs of an individual that cannot be met by the professional helper or the agency and assisting the individual to utilize the support systems and community resources availability, requires the helper to be proficient in identifying and connecting with various community resources. Identify the need(s) and/or problem(s) that the agency and/or counselor cannot meet. Explain The rationale for the referral to the individual. Match The individual’s needs and/or challenges to appropriate resources. Adhere To applicable laws, regulations and agency policies governing procedures related to the protection of the client’s confidentiality. Assist The client in utilizing the support systems and community resources available. Cultural safety extends beyond cultural awareness and sensitivity within services and includes reflecting upon cultural, historical, and structural differences and power relationships within the care that is provided. It involves a process of ongoing self-reflection and organizational growth for service providers and the system as a whole to respond effectively to First Nations people. (HOS 2011) Application of cultural safety is facilitated through policy, procedures, and workflow processes. Although there are many ways by which culture is expressed amongst the various First Nations, there are principal, foundational beliefs and concepts that are commonly held that support a unified definition of “Indigenous culture”. In what follows are these primary concepts of the Indigenous worldview. The Spirit: The most fundamental feature of the Indigenous worldview is the Spirit. Within this reality the spirit is housed within an inclusive concept of body-mind-heart-spirit. In our life within this earth realm these work together in such a way as to be inseparably functioning as a whole. The spirit is always central and always works in relationship to the other levels of being. Spirit is in all things and throughout all things. In the Indigenous worldview, we live in a spiritual universe and within a spiritual relationship. The Circle: The circle, more than any other symbol, is most expressive of the Indigenous view of the world. The circle is primary to all of life and life process, and, is also of primary significance in relating to and understanding life itself in all its dimensions and diversity. Human beings, amongst other beings, are in harmony with the life flow and grow to their greatest fulfillment when they too operate in a circular fashion. The Circle, then, being primary, influences, in every way, how we see the world. The Circle is synonymous with Wholeness. Wholeness is the perception of the undivided entirety of things. To see in a circular manner is to envision the interconnectedness and the interdependence within life. The Wholeness of life is the Circle of life. Harmony and Balance: Desire for harmony is the pre-disposition of all of the created world. Harmony is a central value of the Indigenous worldview, which pre-supposes that all of life consciously cares for one another, and while respecting the individual’s autonomy, strives to achieve and maintain an interrelationship that assures quality of life for the collective whole. Balance is a fundamental principle within the way that harmony in interrelationship works. A worldview that presumes a disposition toward balance causes people to see the dynamic character of their “real world” as always striving to maintain an equilibrium and symmetry in all aspects of the total economy of its ecology. Simply put: the Indigenous person sees the world as always and naturally striving to maintain an equilibrium and symmetry – everything will ultimately try to achieve a balanced solution. The value of harmony works well within such a worldview because it assumes that people lean toward this same balance, and therefore, desire to be in harmony with one another. “All My Relations”: All that is created consciously cares about the harmony and well-being of life; all things are regarded as “persons” and as “relatives”. Personhood not only applies to human persons, but plants, trees, animals, rocks, and visible and unseen forces of nature are also considered as “persons”. Because they are persons, they have the range and qualities of personhood that are commonly attributed in western ideology exclusively to human persons. Once this is accepted, it elevates the prevailing view of other-than-human beings to a higher quality of being and moves the nature of relationship to an all-inclusive ethical level. We are all related to one another as persons, and are responsible for maintaining good and harmonious relationships within the “extended family” of persons. Kindness/Caring/Respect: Another key to understanding the Indigenous worldview is the recognition of the fundamental precept: the universe cares. The Creator cares for his creation. The Earth cares about her off-spring and all of earth-life. The beings within creation care about each other and about how they relate to one another within the interconnectedness and interdependence of the web of life. In that the creation originated in this way, it sustains itself and thrives by means of an underlying orientation toward kindness. The key to harmony in a life that is conceived as “all my relations” is respect. Respect is understood as the honouring of the harmonious interconnectedness of all of life, which is a relationship that is reciprocal and interpersonal. The Indigenous person is predisposed to have in his or her interest both the greatest good for the Individual as well as the collective good. Earth Connection: We are all relatives because we have the same Mother. In the Indigenous mind, the human person is of the earth and from the earth. Like all of the created world, the human being is part of the balance of nature and must find a special yet interconnected place within the created whole. The human person is a relative to all other “persons” of the Earth, and, along with all creatures calls the Earth, Mother. The Earth herself is a living, breathing, conscious being, complete with heart/ feeling, soul/spirit, and physical/organic life, as it is with all the relatives of creation. Indigenous identity and relationship is defined by the land and the connection the natural world. Path of Life Continuum: The experience of living in this world is understood as a journey of the spirit moving progressively through stages that are interconnected and continuous. In the same way, lives are connected inter-generationally as “strings of lives” connecting us to our ancestors and to those yet unborn. Language: The original language is the most expressive communication of the spirit, emotions, thinking, behaviour and actions of the people. Language is the “voice” of the culture and therefore the true and most expressive means for the transmission of the original way of life and way of being in the world. Harm reduction refers to policies, programs and practices that aim to reduce drug-related harm without requiring the person to stop using the substance. Harm reduction strategies aim to reduce drug-related harms not just for the user, but also for families, friends and communities. The approach is based on the belief that it is in both the user’s and society’s best interest to minimize the adverse consequences of drug use when the person is unable or unwilling to discontinue using. First Nations communities often struggle with harm reduction as an “approach” as these efforts are perceived as facilitating illness or substance misuse. A simple but often effective approach is to shift the presentation of harm reduction as an approach, or as a service focused on individuals, to a focus that begins with universal Indigenous values of family and community. That is, harm reduction presented as initiatives aimed at “reducing harms” to family and community by attending to the specific needs of individuals can be extremely beneficial in engaging First Nations communities in initiatives that benefit both individuals and more clearly, children, youth, families, and community. Components of quality care is centered on the conceptual components of quality rather than the measured indicators: quality care is safe, effective, patient centered, timely, efficient, and equitable. Thus, safety is the foundation upon which all other aspects of quality care are built. (Committee on the Quality of Health Care in America. Crossing the quality chasm: A new health system for the 21st century. Washington, DC: National Academy Press; 2001.) Essential to quality of care for First Nations is cultural competency and safety which are the foundation for establishing engaging and collaborative relationship that empower first nations people to control and direct their own health care in ways that address the complexity of needs. Strength-based or asset-based approaches recognize and build on existing strengths and assets in an individual, group or community. This respects individual, group, and community resilience. A strength-based approach sees potential, rather than need, and encourages a positive relationship based on hope for the future. Cultural continuity is a foundation of strengths. While culture may not be often recognizable within First Nations communities it is critical to recognize that culture is a way of life rather than a host of practices or way of doing things. Inherent in a culture based strengths approach is the recognition of the natural ways First Nations communities continue to thrive as distinct people, despite the challenges they face. This is based on a fundamental belief across Indigenous cultures that the Creator or Great Spirit gave Indigenous people their identities and despite forces of colonization and assimilation, the inherent gift of identity remains. Can be involved in the process of discovery and learning. First Nations community health planning should convey principles and standards from an Indigenous lens while ensuring cultural protocols and integrity are valued with the same integrity as “evidence based” standards of practice. For example, a standard of practice might be: rights, responsibilities, and client safety. From a western or mainstream lens on service delivery, “rights” may be defined by license or other credentials that verify knowledge, skill, and scope of practice. From an Indigenous lens, “rights” of practice may be sanctioned by Elders, or Indigenous Knowledge holders, sacred societies, or by a First Nation government who also have formal systems of accountability and supervision on scope of practice. Elders, kinship relationships, clan families/cultural societies, and community are the primary facilitators of strengths, inherent strengths and strengths-based approaches to facilitate outcomes of Hope, Belonging, Meaning, and Purpose. Brun, C., & Rapp, R. C. (2001). Strengths-based case management: Individuals’ perspectives on strengths and the case manager relationship.Social Work, 46(3), 278-88. Cwik, M., Tingey, L., Maschino, A., Goklish, N., Larzelere-Hinton, F., Walkup, J., & Barlow, A. (2016). Decreases in suicide deaths and attempts linked to the white mountain apache suicide surveillance and prevention system, 2001-2012. American Journal of Public Health, 106(12), 2183-2189. Dell, C. A., Dell, D. E., & Hopkins, C. (2005). Resiliency and holistic inhalant abuse treatment. Journal of Aboriginal Health, 2(1), 4. This is a partnership between Aboriginal Television Network and Animki See Digital Productions that offers 75 short films and vignettes on Aboriginal art, culture and history to further your discussion on Culture and Healing and of the Strength-Based perspective. Suggested vignettes from the Vistas selection are Little Thunder, Carrying Fire, Red Ochre. Elder Jim Dumont, National Native Addictions Partnership Foundation, Honouring Our Strengths: Indigenous Culture as Intervention in Addictions Treatment Project. (2014). Wellness Framework©. Muskoday, Saskatchewan: Author. Canadian Institutes of Health Research, Funding Reference Number AHI-120535. Gottlieb, L. (2014). Strengths-based Nursing: A holistic approach to care, grounded in eight core values. American Journal of Nursing, 114(8), 24 – 32. Redko, C., Rapp, R. C., Elms, C., Snyder, M., & Carlson, R. G. (2007). Understanding the Working Alliance between Persons with Substance Abuse Problems and Strengths-based Case Managers.Journal of Psychoactive Drugs, 39(3), 241-250. Trauma Informed Care is an organizational structure and treatment framework that involves understanding, recognizing, and responding to the effects of all types of trauma experienced as individuals early in life (e.g., a result of child abuse, neglect, witnessing violence, or disrupted attachment) or later in life (e.g., due to violence, accidents, sudden and unexpected loss, or other life events that are out of one’s control) and understands trauma beyond individual impact to be long-lasting, transcending generations of whole families and communities. Traumatic experiences like these can interfere with a person’s sense of safety, decision-making ability, sense of self and self-efficacy, and ability to regulate emotions and navigate relationships as well as for whole families and whole communities. Given the number of adverse experiences and the history of trauma in First Nations communities, a trauma informed approach to care is highly recommended (FNMWC 2015). A trauma informed care approach to addressing trauma emphasizes physical, psychological and emotional safety for both consumers and providers, and helps survivors (individuals, families, and communities) rebuild a sense of control and empowerment (Trauma Informed Care Project). With trauma-informed care, communities, service providers or frontline workers are equipped with a better understanding of the needs and vulnerabilities of First Nations clients affected by trauma. For example, understanding how trauma is an ‘injury’ rather than a ‘sickness’ is essential to the healing process and shifts the conversation from asking “What is wrong with you?” to “What has happened to you?” (Klinic 2013). Trauma-informed systems and organizations provide for everyone within that system or organization by having a basic understanding of the psychological, neurological, biological, social and spiritual impact that trauma and violence can have on individuals, and families seeking support and for communities in crisis. Trauma-informed services recognize that the core of any service is genuine, authentic and compassionate relationships (Klinic 2013). Also essential to trauma informed care approaches is cultural competency that puts the burden for learning about individual, family and community trauma and intergenerational trauma on the care/service provider rather than on the client be they individual, family or a whole community. Facilitating community awareness of their history of trauma is recognized most significantly as “community development”. Environmental Stewardship; Social Services; Justice, Education, and Lifelong Learning; Language, Heritage and Culture; Urban and Rural; Land and Resources; Economic Development; Employment; Health Care; and Housing. Public Health Agency of Canada (PHAC) recognizes twelve determinants of health: culture, gender, health services, income and social status, social support networks, education and literacy, employment and working conditions, social environments, physical environments, personal health practices and coping skills, healthy child development, and biology and genetic endowment. First Nations health is equally affected by a range of historical and culturally specific factors (NNADAP 2011) which include loss of language, historical conditions, and cultural identity. The AFN recognizes the following First Nations specific determinants of health: community readiness, economic development, employment, environmental stewardship, gender, historical conditions and colonialism, housing, land and resources, language, heritage and strong cultural identity, legal and political equity, lifelong learning, on and off reserve, racism and discrimination, self-determination and non-dominance, social services and supports, and urban and rural.